Bear is 6 years old and throughout his life he has struggled with sensitive skin and stomach. Many of you know that my health improved when I started making lifestyle changes (among other changes), including diet. As I grew curious about how my diet was affecting my health I started to wonder about Bear’s as well. Bear was getting pretty rambunctious as our schedule changed. He was our dog in college and was definitely accustomed to having people home with him more than we are able to be since moving to KC. The entire move itself was an adjustment for Bear and I could tell he was stressed and I wanted to do everything in my power to make him more comfortable throughout our move as well as maximize his health now, in effort to give him a longer, healthier and happier life! As it turns out, sensitive skin, also called, “allergic or atopic dermatitis”, meaning persistent hot spots and skin allergies. As I researched more, spoke to other GSD owners, trainers, groomers, vets, etc. Unanimously this is a "common issue", "normal", "expected" in the GSD breed. Maybe its the health advocate in me but it made me pretty freaking mad that this is a common problem with few available remedies. Every vet recommended putting Bear on a drug called Apoquel. Its a newer drug and had an extremely high success rate according to our vet and the research. The one known side effect is a possibility to grow already existing tumors. We weighed his quality of life against the side effects and with no other option we put him on Apoquel. It honestly never sat right with me, I hated giving him pills daily, as much as I hated taking pills daily. Without the drug Bear was itching holes in his sides and biting his arms , paws and really whatever he could constantly. His ears were bloody and coarse from his scratching. We had him in a cone for months and every time one spot healed, he opened another. (Fur-mom guilt to the 100th degree.) Again, we were reassured that this was normal for the breed and that the drug worked to control these flares and without it he would be much worse. I was in and out of the vet, having to stay home to watch him and he was still having issues, all while taking this (pretty expensive) drug at the highest dose daily. This seemed like insanity to me and it was beyond frustrating to see my dog suffering and having a diminished quality of life because of it. I owed it to Bear to figure this out, after all he is by far the best migraine buddy and my “dog-medicine”! After working with a Leerburg certified dog trainer, I researched heavily about training, diet and behavior. (Animal Psychology actually was my capstone). Paul and I decided to start Bear on a Raw Food Diet. He had just turned 6 when we made the switch to raw food, also refereed to as “BARF”, and for about 10 months now we’ve stuck to the diet. We are VERY happy with our decision and see a huge improvement in bear’s skin issues and his behavior. He used to graze food and wasn’t very interested in his food. Now he eats his entire bowl as soon as it’s set down for him and it’s gone within 5 minutes. He also has less upset stomach and vomiting than he had when eating kibble. His skin is SO much better and he does not wear a cone anymore! 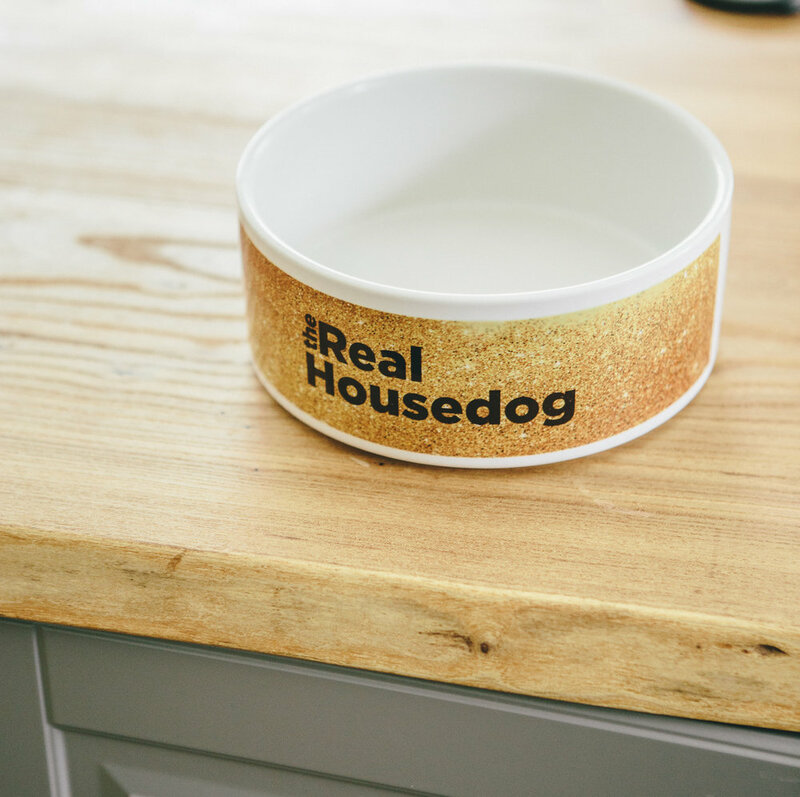 The diet is also cost efficient, we use to feed him top of the line kibble; American Journey and Taste of the Wild, so we actually save money following the raw food diet! I can’t imagine going back to kibble at this point. In June, we learned about Cytopoint and switched him from the maximum dose of daily Apoquel to a monthly injection of Cytopoint, that we’ve only needed to repeat twice since June! I just took Bear back in (Nov) for the first time since June because I noticed him itching and I didn’t want it to turn into a hot spot/cone fiasco. The vet commented on how great his skin and coat look and what an improvement he sees in Bear! For Bear’s meals we prep rice in bulk, have plenty of eggs (throw 3 in the bowl, whole, shells and all) on hand and buy flax meal and fish oil. I get meat from local butchers (Locally Sourced Meats in the River Market, for my KC friends) who source from their grass-fed farm. (There have been times when we’re out or don’t properly plan the meals out, and we just grab organic meat from the grocery store). Then I chop or juice veggies and or fruit to add in. A great way to do this is asking your local juicer (I use Simple Science in KC) for their pulp scraps. Carrot, Broccoli, Apple, Banana, Celery, Kale, Sprouts, Spinach, Blueberries, Blackberries, Raspberries, Mulberries, etc. Do not feed fruit pits, grapes, raisins, or dates which can cause kidney failure in dogs. Do not feed, onions, leeks, chives, and green tomato plant. The amount of food will vary on the weight of the dog. Here’s another link to a resources I have found helpful! They have more info on transition your dog to a raw food diet and a weight to food calculator (if you hate math like me)!! I hope this answers all the questions you’ve sent me about Bear’s diet! Please DM, email, reach out if you have any more questions for me! Lots of love to you and your fur-baby!